The name of this Association shall be the Iowa Association for Justice. Its objective shall be to uphold and defend the Constitutions of the United States and of the State of Iowa; to advance the science of jurisprudence; to train in all fields and phases of advocacy; to promote the administration of justice for the public good; to uphold the honor and dignity of the profession of law; and, especially, to advance the cause of those who are damaged in person or property and who must seek redress therefore; to encourage friendship among the members of the bar; and to uphold and improve the adversary system and the right of trial by jury. (a) Regular Members—Any person who is licensed to practice law in any Country, State or Jurisdiction; is of good moral character; is engaged in any field or phase of advocacy and who is committed and devoted to the concept of a fair trial, the adversary system, and a just result for the injured, the accused, and those whose rights are jeopardized, shall be eligible for regular membership; and shall continue to be a regular member in good standing upon the payment of periodic dues and the continued adherence to the objectives of the Association and to the qualifications for membership, and who shall in writing subscribe to those objectives. Provided, however, that no person shall be eligible for regular membership in this Association who, for the most part, represents the defense of personal injury or workers’ compensation litigation. (b) Sustaining Members—A regular member may become a sustaining member upon approval by the Board of Governors and by paying the annual dues required by the Board of Governors. continuing the study of law at a law school, paying periodic dues as set by the Board of Governors and continuing to adhere to the objectives of the Association and to the qualifications for student membership. (d) Associate Members—Any person who for the most part represents the defense of personal injury or workers’ compensation litigation, who would otherwise be eligible for regular membership, shall be eligible for associate membership. 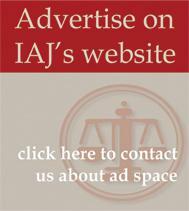 Associate members are entitled to all the benefits of regular membership with the exception that associate members are not entitled to hold office or participate on any IAJ list serve that the IAJ Board of Governors has chosen to limit to regular members only. Section 2. The Board of Governors may create other classes of non–voting membership including subscribers and shall establish procedures for the application and admittance to all classes of membership. (a) Resignation—A member may resign by submitting a written resignation to the President. Such resignation shall become effective on the date submitted, provided the member has satisfied all obligations to the Association. (b) Disbarment—A member who is disbarred shall automatically be removed from membership. (c) Suspension from Practice—A person suspended from practice shall be suspended from membership for as long as their period of suspension from practice continues and shall be returned to membership subject to the approval of the Board of Governors upon the termination of the suspension. (d) Expulsion, Suspension or Censure—A member may be expelled, suspended or censured for unethical conduct or for misconduct which brings discredit to themselves, the Association or the profession. This power shall rest exclusively in the Board of Governors, which may authorize the President to appoint a committee of three to hear complaints or grievances against a member. A member shall receive thirty (30) days' notice in writing of any complaint made against them. The notice shall specify the charges against the member and shall advise the member of the time and place of the hearing, which shall be held either before the Board of Governors or a committee appointed in accordance with this Section. The member may appear and present evidence. If the hearing is held before a committee, the committee shall report its findings to the Board of Governors, which shall then decide whether to expel, suspend or censure the member. Expulsion, suspension or censure of a member shall require a two–thirds (2/3) vote of the Board of Governors present and voting. Section 1. The officers shall be the President, President-Elect, Vice President of Membership Services, Vice President of Public Affairs, and Parliamentarian. Section 2. The President shall be the Chief Executive Officer of the Association. The President shall preside at all meetings of the Association and Board of Governors and shall direct the affairs of the Association with the advice and consent of the Board of Governors. Unless otherwise provided for in the Constitution, the President shall appoint all committees. In the event of incapacity or inability to fulfill the office and upon certification of such fact by two–thirds (2/3) of the Board of Governors, the remainder of the term shall be filled in the following order of succession: President-Elect followed by the Vice President with the most years of service. Section 3. The President-Elect shall perform such duties as are delegated by the President, and shall succeed to the office of President in the event of death or resignation of the President. The President-Elect shall preside at meetings in the event of the temporary absence of the President. In the event of a vacancy in the office of President-Elect, the remainder of the term shall be filled by the Vice President with the most years of service as Vice President. Section 4. The Vice President of Membership Services shall oversee the administrative and membership services activities of the Association, and shall perform such other duties as are delegated by the President and President-Elect. The Vice President of Membership Services shall also serve the roles of Secretary and Treasurer of the Association. As such, this person shall be the official custodian of the funds of the Association and shall be its chief fiscal officer responsible for making recommendations to the Board of Governors to insure the financial solvency of the Association. The Vice President of Membership Services shall direct the collection of all dues and moneys of the Association, shall direct the keeping of accurate books of account, shall cause audits to be made annually by a Certified Public Accountant and shall see that financial reports are submitted to the Board of Governors at its regular meetings. The Vice President of Membership Services shall see that the funds of the Association are received, disbursed and invested in the manner directed by the Board of Governors. Section 5. The Vice President of Public Affairs shall monitor the activities of the judicial, legislative, and executive branches of the Iowa and United States governments. The Vice President of Public Affairs shall also be responsible for the coordination of all programs designed to improve the public’s understanding of and appreciation for the American system of justice, and shall perform such other duties as are delegated by the President and President-Elect. Section 6. The Parliamentarian shall perform such duties as are delegated by the President and President-Elect. Section 7. The terms of office of President and President-Elect shall be one (1) year which shall begin at the end of the last business meeting at the annual convention. The terms of Vice Presidents shall be two (2) years and shall be staggered so that one new Vice President is elected each year. The term of office of Parliamentarian shall be one (1) year which shall begin at the end of the last business meeting at the annual convention. Section 8. Upon the expiration of a term of a President-Elect, the President-Elect shall be the President of this Association. This succession to higher office shall be automatic and there shall be no separate election to the office of President of the Association. This is the only position to which there is automatic succession. Section 9. Any officer shall be removed with or without cause by an affirmative vote of 75% of the Board of Governors voting in person or by written ballot. Section 1. The Board of Governors shall be the managing body of the Association and shall direct its affairs. Section 2. The Board of Governors shall consist of the President, who shall serve during the term of office and shall also serve two (2) years after the expiration of said term, the other members of the Executive Committee, and the Governors elected in accordance with the Articles of Incorporation and the Bylaws. Section 3. Each judicial subdistrict in the State of Iowa is allowed one Governor. In addition to the subdistrict Governors, no more than fifteen (15) "at–large" Governors shall be elected. Both subdistrict and at-large Governors will serve for a term of one (1) year. In the event of a vacancy on the Board of Governors, other than an officer or immediate Past President, between annual meetings of the Association, the Board of Governors shall fill such vacancy with any member of the Association in good standing by a majority vote at a regular or special meeting of the Board of Governors. Persons so elected shall serve the unexpired term. In filling such vacancies the Board of Governors shall attempt to ensure that each judicial subdistrict shall have a representative on the Board. A person representing the State of Iowa on the American Association for Justice (AAJ) Board of Governors, if not otherwise a member of the IAJ Board of Governors, shall automatically become a member of the IAJ Board of Governors for the duration of their service on the AAJ Board. Section 4. Except as specifically limited by these Bylaws, the Board of Governors shall have full power and authority in intervals between the business meeting of the annual conventions to do all acts and perform all functions which the Association itself duly convened at the business meeting of the annual convention may do or perform. However, whenever the membership of the Association shall have required or forbidden any act or policy at the annual convention, such action shall be binding upon the Board of Governors. Section 5. No commitments or expenditure of any funds of the Association shall be made by any officer or member except as provided in the annual budget or by the Board of Governors. The President and Executive Committee shall have the authority to spend up to Two Thousand Five Hundred ($2,500) Dollars without advance authority of the Board. The Board of Governors at its discretion shall be authorized to spend funds in addition to the budget for the good or welfare of the organization. Section 6. In the event of a vacancy in any one office of a Vice President or Parliamentarian between annual meetings of the Association, the Board of Governors shall fill such vacancy with any member of the Association in good standing by a majority vote at a regular meeting or special meeting of the Board of Governors. The person so elected shall serve the unexpired term. Section 7. Meetings of the Board of Governors shall be held upon the order of the President, or upon written request of any seventeen (17) members of the Board of Governors. In any event, meetings of the Board of Governors shall be held at the annual convention. A quorum shall consist of fifty (50) percent plus one member of the elected members of the Board of Governors. Section 8. The Board of Governors shall have the right to appoint all personnel which it deems necessary or appropriate to carry out the functions of the Association. The compensation and duties of all personnel shall be fixed by the Board of Governors. Section 9. There shall be an Executive Committee of the Board of Governors. (a) The Executive Committee of the Board of Governors, shall consist of the officers of the Association, the immediate Past President, the chairperson of the Justice for All PAC, and the section chairs. Between meetings of the Board of Governors, the Executive Committee shall be empowered to do all acts and perform all functions that are necessary for the operation and management of the Association. (b) The Executive Committee shall not countermand actions taken by the Board of Governors and will be bound by specific instructions given to it by the Board of Governors. (c) Fifty (50) percent plus one member of the Executive Committee shall constitute a quorum and actions shall be decided by a majority vote. The President may request a telephone, email or mail vote of the Executive Committee in which event action shall require the affirmative vote of fifty (50) percent plus one member. Section 10. Any member of the Board of Governors may be dropped from the Board if that member misses three (3) Board meetings in one term without due cause shown. Notice shall be given to that member in advance of the third meeting. Section 1. The officers to be elected and at–large members of the Board of Governors shall be elected at the annual convention. The offices of Parliamentarian, Vice President, and the President-Elect shall be nominated and elected at a business meeting of the annual convention by a majority vote of the members present and eligible to vote. Section 2. At–large members of the Board of Governors shall be nominated and elected at a business meeting of the annual convention by a majority vote of the members present and eligible to vote. In the event a candidate does not receive a majority, a runoff election shall be held between the two candidates receiving the greatest number of votes. The convention by two–thirds (2/3) vote may provide for the election by a plurality prior to the holding of the elections. Section 3. In addition to at–large members of the Board of Governors, each judicial subdistrict in Iowa may elect a Governor. (a) Each fall prior to the annual convention an election for subdistrict Governor may be held in each judicial subdistrict. 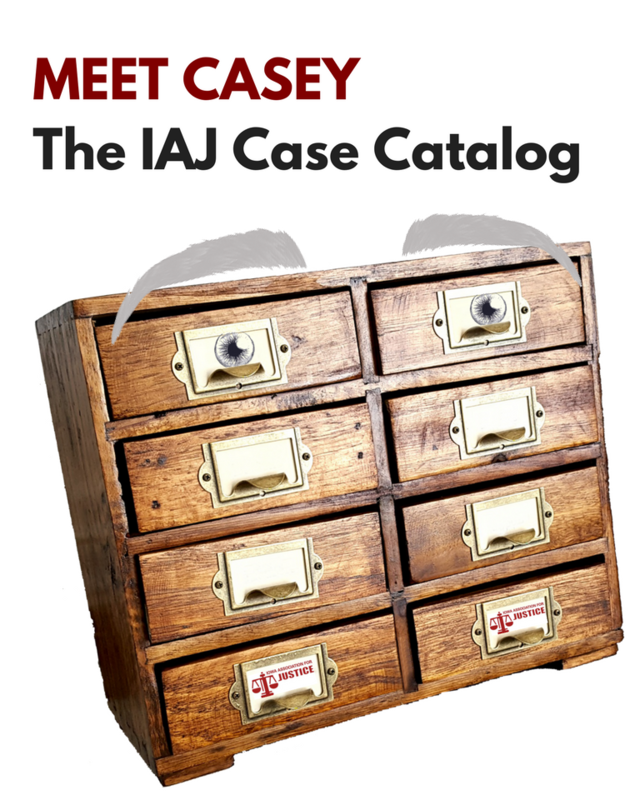 Ballots will be mailed to every IAJ member in good standing in each subdistrict. Members will have at least two weeks to return their ballots to the Election Committee. The IAJ member in each district who receives the most votes shall be elected the subdistrict Governor. (b) Notice of upcoming subdistrict elections shall be given to all IAJ members in good standing in each subdistrict at least two weeks prior to the date that subdistrict election ballots are mailed out by the Election Committee. The notice shall state that any member can nominate any member in good standing for subdistrict Governor. All candidates so nominated will appear on the subdistrict ballot. (c) A member of the Board of Governors elected to serve as a representative from one judicial subdistrict who moves from that subdistrict will be considered automatically removed from the Board of Governors. Section 4. The President shall appoint an Election Committee to conduct the elections. All contested elections shall be by secret ballot. When only one candidate for an office has been nominated, such candidate shall be declared the winner by the Election Committee Chair without the necessity of voting. Section 5. No member who is not a member in good standing shall be eligible to vote on any matter or in any election. Section 6. No member of the Board of Governors shall be elected to serve more than ten (10) consecutive years in one position (i.e. by at–large or subdistrict), but the restriction does not include serving as an officer. Section 1. There shall be an annual convention of the Association to be held at a time and place fixed by the Board of Governors. Section 2. There shall be such interim meetings as shall be called by the President with the advice and consent of the Board of Governors. Section 3. Fifteen (15) members shall constitute a quorum at any business meeting of the Association. Section 4. Unless otherwise provided, all actions taken by the convention shall be by majority vote. Robert's Rules of Order shall govern the business meetings of the convention and all other meetings. The dues of the Association shall be determined by the Board of Governors. Section 1. The Past Presidents Council shall consist of the Past Presidents of this Association. Section 2. Members of this Council shall handle special projects and serve in an advisory capacity to the Board of Governors and the Executive Committee. Section 3. Each member of the Council shall be an ex-officio member of the Board and shall be notified of all Board meetings and invited to attend such meetings and all functions of the Board held in connection with the Association seminars. Section 4. The Council shall elect one of its members to chair the meetings of the Council; this election shall be held during the annual convention of the Association. The Council shall meet during the annual convention for this purpose and to plan any activities for the coming year with the assistance of the current President and IAJ staff. Section 1. The Board of Governors may, except as provided herein, from time to time, establish standing committees, abolish standing committees, and amalgamate standing committees. The Board of Governors shall, from time to time, determine the jurisdiction of standing committees. The President shall appoint the chair of each committee with the advice of the Vice Presidents. Section 2. There shall be such other non–standing committees as the President shall establish or as the Board of Governors may direct to be established. All members of such committees shall be appointed for one (1) year terms. Section 3. In the event of a vacancy on any committee, the President shall fill such vacancy with any member of the Association. The person so appointed shall serve out the term vacated. Section 1. The Board of Governors may establish sections. Section 2. Each section shall elect a Chairperson and Vice–Chairperson, and such other officers as its Bylaws require. The elected officers shall constitute the Executive Council of the section and shall be empowered to act for the section between annual meetings. Section 3. Each section shall hold a meeting at the annual convention or, alternatively, at the annual section seminar, for the purpose of electing officers and transacting such other business as may come before it. These Bylaws may be amended by the Board of Governors by majority vote. Any proposed amendment must be submitted in writing to the Board of Governors at least thirty (30) days prior to the vote to amend the bylaws.